NASA‘s Voyager 1 spacecraft is now officially the first human-made object to venture into interstellar space. The 36-year-old probe is about 12 billion miles (19 billion kilometers) from our sun. New and unexpected data indicate Voyager 1 has been traveling for about one year through plasma, or ionized gas, present in the space between stars. Voyager is in a transitional region immediately outside the solar bubble, where some effects from our sun are still evident. Voyager 1 does not have a working plasma sensor, so scientists needed a different way to measure the spacecraft’s plasma environment to make a definitive determination of its location. A coronal mass ejection, or a massive burst of solar wind and magnetic fields, that erupted from the sun in March 2012 provided scientists the data they needed. When this unexpected gift from the sun eventually arrived at Voyager 1′s location 13 months later, in April 2013, the plasma around the spacecraft began to vibrate like a violin string. On April 9, Voyager 1′s plasma wave instrument detected the movement. The pitch of the oscillations helped scientists determine the density of the plasma. The particular oscillations meant the spacecraft was bathed in plasma more than 40 times denser than what they had encountered in the outer layer of the heliosphere. Density of this sort is to be expected in interstellar space. “The new plasma data suggested a timeframe consistent with abrupt, durable changes in the density of energetic particles that were first detected on Aug. 25, 2012. The Voyager team generally accepts this date as the date of interstellar arrival. The charged particle and plasma changes were what would have been expected during a crossing of the heliopause. The scientists expect the fields and particles science instruments on Voyager will continue to send back data through at least 2020. Voyager mission controllers still talk to or receive data from Voyager 1 and Voyager 2 every day, though the emitted signals are currently very dim, at about 23 watts — the power of a refrigerator light bulb. By the time the signals get to Earth, they are a fraction of a billion-billionth of a watt. 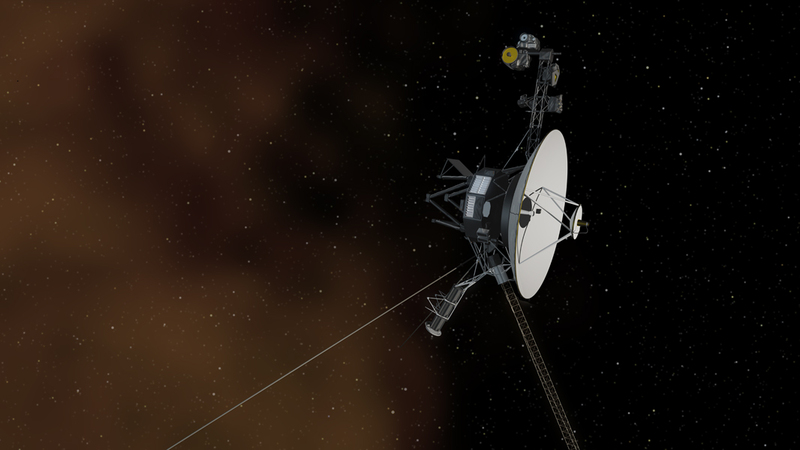 Data from Voyager 1′s instruments are transmitted to Earth typically at 160 bits per second, and captured by 34- and 70-meter NASA Deep Space Network stations. Traveling at the speed of light, a signal from Voyager 1 takes about 17 hours to travel to Earth. 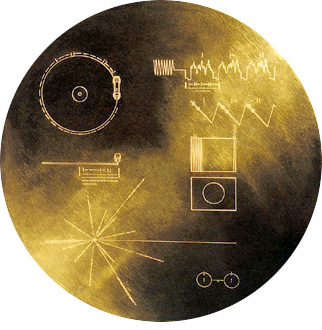 After the data are transmitted to JPL and processed by the science teams, Voyager data are made publicly available.